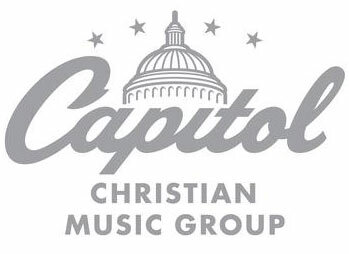 16 October 2013 - Nashville, Tenn - Capitol CMG Label Group secured a total of 14 Dove Award wins during the 44th Annual Gospel Music Association (GMA) Dove Awards. Matt Redman received six awards, such as Song of the Year for "10,000 Reasons (Bless The Lord)" and Songwriter of the Year, while TobyMac walked away with four, nabbing the top category of Artist of the Year. Hillsong, Chris Tomlin, and Kari Jobe received two awards, and Passion's Passion: Let The Future Begin won for Special Event Album. Colton Dixon walked away with his first Dove award for Rock Contemporary Album of the Year with The Messenger. The awards were presented last night at Lipscomb University's Allen Arena in Nashville and will be broadcast on Monday, October 21 on UP TV at 8pm EST/7pm CST. "We at Capitol CMG are so proud of our artists and our industry that was celebrated last night," says Peter York, President, Capitol CMG Label Group. "We congratulate all of our artists and nominees for the incredible impact their music has had in the past year. It is always encouraging for artists to be recognized by their peers." Amy Grant co-hosted last night's awards show with Kirk Franklin and also performed her current single, "If I Could See (What The Angels See)" in a duet with MercyMe's Bart Millard. Artist of the Year TobyMac opened the show with "Eye On It," joined onstage by Britt Nicole. Other Capitol Christian Music Group artists performing were Dove winners Colton Dixon with "Never Gone" and Kristian Stanfill and Passion presented their song "One Thing Remains." Capitol CMG artist Michael W. Smith kicked off a moving tribute to Billy Graham that included the first televised performance of label mates Newsboys' song, "We Believe." The song appears both on the band's new album Restart and the just released Graham tribute, My Hope: Songs Inspired by the Message and Mission of Billy Graham. The complete winners list can be found at www.doveawards.com.